Last night was the hour long SEASON FINALE of Zoe Ever After! Picking up from last week, Zoe goes out on a date with a new guy named Curtis, who she met when she was out getting coffee. She doesn't really want to talk about her ex, but admits that she was married to Gemini Moon. However, Curtis doesn't follow boxing, so he has no idea who Gemini is, giving Zoe hope that he's all about her. However, when he sees Serena Williams in the restaurant, he runs for her picture, and wants Zoe to take it! Another date fail! Later, in the gym, Gemini is mad at Ashley for the fluff piece she did on Juarez while painting him out to be washed up. She was trying to be a real journalist, but he's mad because he let his guard down with her. Meanwhile, Zoe has a meeting with her team about the brand. Pearl is absent, supposedly due to her uncle's funeral, according to Valente. Zoe continues the meeting, while Pearl comes in late, looking like she's hurting! Turns out that Pearl is dating some fitness-obsessed guy Jeremy, so he's definitely working her hard in the gym! However, she mentions that he was passing by a ring store, and asked Pearl what kind of ring she likes, giving her hope for a wedding after all! Pearl also has some good news for Zoe. She got Zoe a meeting with Melanie Foster, who is a distributor to all of the major retailers and could take Zoe Moon Cosmetics to the next level! Later, Melanie Foster comes into the office to meet with Zoe, and definitely seems like a no-nonsense type of woman. Zoe is extra hype, and Valente tries to help out with the meeting before Zoe finally kicks him out. Melanie asks if the company has a spokeswoman, which Zoe doesn't quite have yet. She has the products down, but not the personality to sell the concept. Melanie thinks the she should use Gemini in her advertising and just find a model to hang onto him. Of course, Zoe really wants to do this on her own without Gemini's help, but Melanie won't hear it. She tells Zoe to let her know when Gemini is on board. Otherwise, they can't do anything together. Afterwards, Zoe freaks out about the meeting in front of Miguel. She vents about how this is her company, not Gemini's, and she is adamant about not needing his help. All Miguel can do is stare at first, but tries to give her some advice. If this distributor could raise the company sales, wouldn't it be worth it to use Gemini? Zoe keeps saying that she's over her ex-husband, so Miguel advises her to make it about business, not feelings. He opens up about how it took him another extra five years to expand because he didn't ask for help from his cousin since they don't like each other. Miguel warns Zoe to learn from his mistakes. 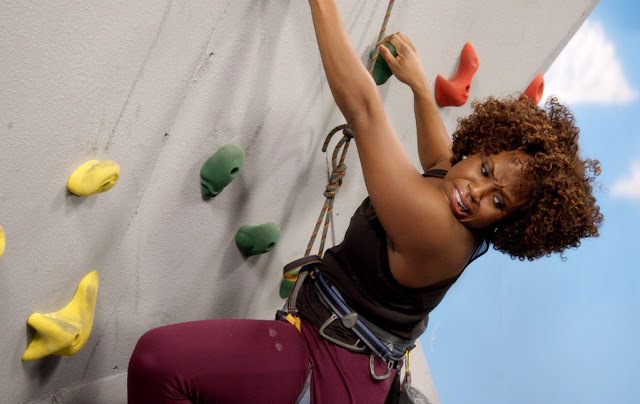 Later, Jeremy takes Pearl rock climbing, challenging her to be "the best version of herself." Pearl ends up getting halfway up the wall, while Jeremy leaves her behind. However, she eventually falls and paramedics have to be called. A gorgeous paramedic tells her that there's nothing wrong with the version of herself right now, flirting while she's on the stretcher. Pearl breaks up with Jeremy boldly, impressing the paramedic! The two continue to flirt as Pearl asks him to check her vitals! Zoe goes to see Gemini at the gym, trying to flatter him, but he wants her to just get to the point. She tells him about the meeting with Melanie, and how she wants him to be in an ad for Zoe Moon Cosmetics. Gemini is still mad about Zoe refusing to be a part of the documentary. Zoe feels like this is about business, and that it could be a win-win for both of them. However, Gemini states firmly that his business is boxing, which he feels like she put in jeopardy by not supporting him and this documentary. Zoe was irritated that he brought in a camera crew without telling her, along with Ashley, who she believes Gemini used to sleep with. When Gemini states that nothing happened between them back then, Zoe questions him about that! He implies that something happened, and correctly tells her that she can't be jealous. Gemini's simply doing him! Zoe gets upset and petty, stating that maybe she'll check out his opponent Juarez for the ad! That night, Zoe and Pearl have drinks, and Zoe vents about the company. Something big has to happen soon, or the company may flop. She wonders where will they find someone young, beautiful, and relatable? At that moment, Jordin Sparks comes up to her, raving about Zoe Moon Cosmetics. 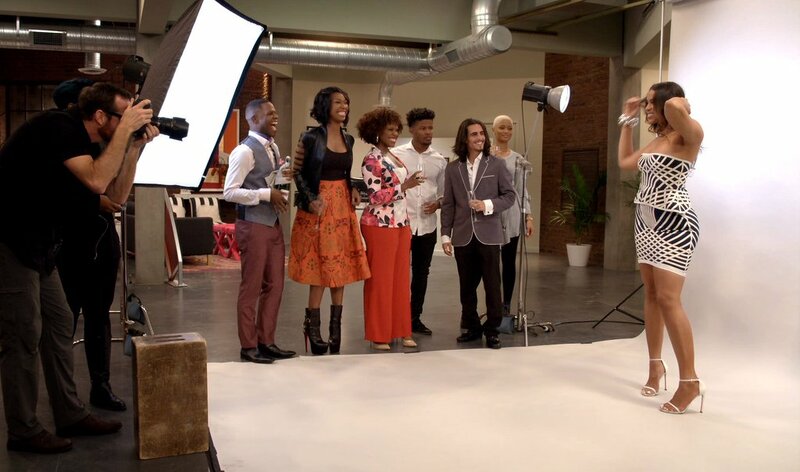 Zoe simply thanks her, but Pearl brings her to reality, telling Zoe that Jordin should be the spokesmodel! Jordin does the shoot and kills it! In the second part of the episode, Pearl is actually getting married to the paramedic Earl! She, Zoe, and Valente plan to get turnt for her bachelorette party. Zoe even hired a stripper, though it's probably inappropriate in the bar they're sitting in, surrounded by people. At that moment, Stephen comes in and sees Zoe, and it gets uncomfortable since she's grinding on this stripper! However, he's clearly still feeling a way after the rundown with Gemini a few weeks back. Zoe sends a shot to him, but he refuses it. Zoe goes up to him to apologize. However, Stephen feels like she has a lot going on in her life, and he's not sure he needs that baggage in his life right now. Zoe plays it off, but she's definitely a little upset by his words. The next day, Gemini brings Xavier over to Zoe's condo. Xavier says that Gemini told him he could go to the fight, which Zoe shuts down. He doesn't think that Xavier should be exposed to violence this young. Gemini thinks that Zoe plans to be there to watch X, but she confesses that she's actually not. She'll be at Pearl's wedding. Zoe states firmly that Xavier isn't going, but that, afterwards, Gemini can call Xavier to tell him that he won. Gemini admits that he likes this calm version of her, and it's good to see them in a better space. At the office, everyone is prepping for the wedding. Zoe wears her maid of honor dress, and looks great! Miguel is, of course, impressed by her look, maybe a little more than he's letting on. Zoe asks if he's bringing his girlfriend Alejandra to the wedding, and, without answering, he then asks if she's bringing Stephen. Clearly, there's some underlying feelings there! At that moment, Zoe gets a call from downstairs, stating that Valente's parents are here! Of course, Valente's parents has no idea he's gay, so he turns into his super tough alter-ego, Jerome. When Pearl comes out in her wedding dress, his parents thinks VALENTE is the one getting married! Valente brings Zoe and Pearl into Zoe's office, with Pearl angrily stating that he needs to tell his parents the truth! However, Valente suggests having a fake wedding at the rehearsal to convince his parents that he's straight for now, and then they can go on their way! Pearl hesitantly agrees. The next day, Zoe decides to be a brand new Zoe--super cute, confident and baggage free. She refuses to take no for an answer from Stephen, and calls him to ask him to be her date to Pearl's wedding. As the conversation is going well between Zoe and Stephen, Pearl is dealing with a crisis over the phone! Turns out the Plaza double-bookedMeanwhile, Pearl is dealing with a crisis. The plaza double-booked her wedding and an event for President Obama, so Pearl's wedding is out! Of course, Pearl is SPAZZING! In the end though, Zoe hosts the wedding (and the fake wedding) at her condo. Stephen comes, and so does Miguel and Alejandra. First, we see the fake wedding. While Pearl is reciting her fake vows, which are actually really sentimental, Valente says that this is something she should say to her real soulmate. Valente admits in front of everyone that he's gay, which his father already knew when he found Valente kissing the TV while Fresh Prince was on! Regardless of his sexuality, Valente's parents still love him! At the end of the episode, Pearl sits in Zoe's bedroom and wonders if Earl is the one for her. Zoe tells her not to rush into something that she isn't really ready for. Pearl doesn't get married, and decides to just take things slow with Earl. While Stephen and Miguel throw small jabs at each other, Zoe goes to find Xavier, who is watching Gemini's fight on his phone. When Zoe scolds him for watching, Xavier gets mad, stating that Gemini's losing, and that they both should've been there for him. Instead, Zoe is worried about dating! He angrily says that he hates her, and wants to move in with his dad! Miguel comes in to check on her, and she explains everything to him, obviously upset. Miguel says Xavier's words are just talk. However, Zoe's upset that she's been painted as this evil mom, when she really just didn't want to X to see Gemini get hurt. Between the company, dealing with being a a single mom, and Gemini, she has all of these different emotions reeling inside. In a moment of comfort, Miguel ends up kissing Zoe. The episode ends with the two of them making out, while Gemini gets knocked out in his fight! I'm pretty sure that BET will renew Zoe Ever After for a second season, so I'm excited to see what's to come next season!